Build A Brighter Future, One Child at A Time. The PsyD in Educational Psychology Degree Program at the California School of Education (CSOE) at Alliant International University can open new doors of opportunity for you and enable you to open them for others. Coursework in leadership and supervision, psychopharmacology, developmental psychopathology, and more help fine-tune your understanding of how you can help each child reach their fullest potential, regardless of their circumstance, so you can go on to make an impact through leading assessment, evaluation, and treatment plans. Please be aware that this program is designed for those already in possession of a PPS credential in school psychology, and is a requirement for admission. If you are interested in earning a PPS School Psychology credential, Alliant offers this program that will help you earn one. The PsyD in Educational Psychology program is offered entirely online so that you can complete your degree from the comfort of your own home. Our program will arm you with expertise that will not only enhance your education, but will also arm you with the skills you need to better help a vast range of students. Develop the ability to use and understand research and methods in educational psychology. Professional Skills – Ability to apply educational psychology theory and educational leadership and management theory including: law, ethics and equity, developmental psychopathology, psychopharmacology, multicultural counseling, leadership, consultation, and supervision. Professional Roles – Understanding of the diverse roles and needs of an applied educational psychologist at the doctoral level. Applied Research – Ability to implement advanced skills in the areas of program development and evaluation, as well as the implementation of qualitative research methodologies. Professional Concepts – Ability to implement organizational consultation practices, small group consultation, and collaborative activities. What is the career outlook for graduates of the PsyD in Educational Psychology degree program? The career outlook for those who have obtained their PsyD in Educational Psychology appears to be relatively strong moving forward. 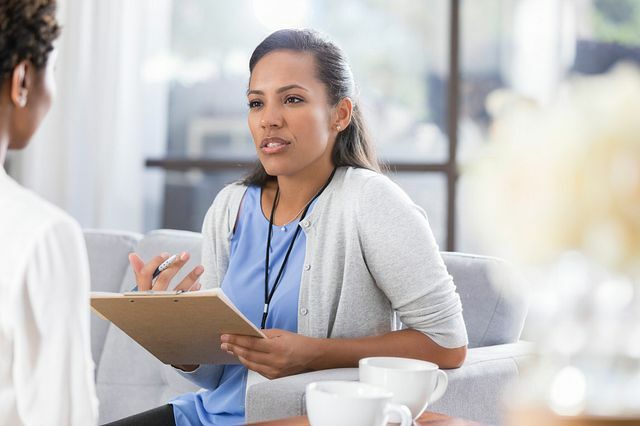 Though the Bureau of Labor Statistics does not separate educational psychologists from their larger “Psychologist” umbrella, the field as a whole is expected to grow 14% between 2016 and 2026. And all factors indicate a similar rate for educational psychologists, as the rate for education careers is projected to grow as well (7-11%, depending on the education level)—and an educational psychology career is certainly where those two worlds come together in a very direct way. Graduates of our doctorate in Educational Psychology degree program can expect to pursue a career as an educational psychologist, either working with students directly, or from a more macro perspective, helping to design and implement changes in classrooms and schools to make the education experience better for all those involved. Graduates of this program have other career options as well, including: social worker, counselor, forensic psychologist, educational researcher, policy-maker, and college-level professor. An advanced degree can open a world of opportunity. Most post-secondary teaching positions require a doctorate level of education. Developing and conducting ground-breaking research often requires a doctorate level of education. Even the opportunity to broaden your professional prospects within the field of education increases with a higher degree. When does PsyD in Educational Psychology degree program start? The PsyD in Educational Psychology degree program is an 8-week term program and is open for enrollment during each of those respective enrollment periods. You can find a copy of our 2018-2019 8-week term academic calendar here. How long does it take to complete the PsyD in Educational Psychology degree program? The PsyD in Educational Psychology degree is a 50-credit program and takes a minimum of 3 years to complete, across 11 terms. These are the Alliant campus where this program is waiting for you to make your impact. Click the image to learn more about campuses, and what specific Californian wonders there are to explore.